The term Virtual reality is a latest technology that gained huge importance not only in the field of video games, but also hold vast potential to alter the future of several other fields including medicine, architecture, business, manufacturing sectors and so on. Especially, in recent days, understanding the uses of Virtual reality, psychologists and other medical experts started using this technology in order to elevate their traditional therapy ways. They are finding this as a more powerful solution to treat their patients who are facing issues related to social disorders, anxiety and PTSD. Also, on the other hands, medical students who are practising surgery, ways to treat a patient’s pain are now given training through VR by the doctors. Even VR is employed to assist paraplegics in order to regain body functions. Also in distinct sorts of business sectors and industries, VR is being used for various purposes as this technology offers them with immense benefits. Car makers utilise this Virtual Reality to manufacture safer vehicles; travel agencies are making use of it to make things related to vacation planning easier. Also, architectures find VR as a good tool to construct stronger long standing buildings. Paraplegia is harm in the lower extremities related to the sensory or motor functioning. Duke University involved for a year about in a research related to virtual reality benefits for paraplegics. A year- long research of them proved that there are immense benefits that can be gained out of implementation of Virtual Reality technology for paraplegics. 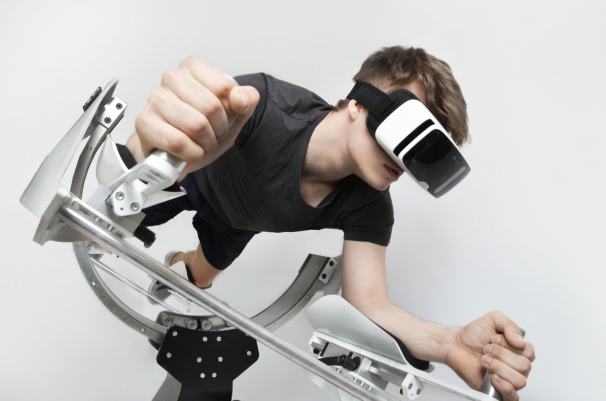 Patients are initiated to perform a task such as moving around the stadium as a soccer player wearing the VR headsets were found to regain a few of their brain functions associated with locomotion of their legs. Out of eight paraplegics affected persons tested, each one has regained few controls. Also, four were found to get recovered from full paraplegics to partial paraplegics. Traditionally, in order to treat approximately 8 million adults who suffer due to PTSD annually, doctors make use of “exposure therapy”. Through exposure therapy, patients are pushed to recount on their traumas, visualize such traumatic event in their imaginations, and explain about it clearly to the doctor stating what sort of happening, they experience when they come across such stressful scenario that may be a flashback, nightmare or even due to severe anxiety. VR basically employs the similar technique while using headsets to develop a virtual world, including customized features such as machine guns, missiles and helicopters in order to render a thorough enjoyable yet thrilling experience for a war veteran. The patient will then be questioned by the doctor to narrate what sort of happening, they come across and how far they can relate it to themselves. Medical and dental studies are now able to get a safe training using VR. They are now exposed to control setting to practice medical procedures and surgeries, permitting them to commit mistakes without creating any sort of impact on the actual patients. Also, they are facilitated to understand concepts more clearly and to equip themselves to face any unexpected emergency scenarios. It’s always more beneficiary to medical students to get a hands-on experience while practicing procedures. Students can develop their understanding and skills through discussing with a virtual patient, which later they can implement to the real world. People who suffer out of pain are treated by doctors using “distraction therapy” using this virtual reality technology as they undergo such sort of physical therapy. A study done during the year 2011 on military burn victims state that a VR game, namely, Snow World permits the user to fling snowballs at penguins simultaneously listening to Paul Simon. This VR usage has found to be more effective in pain management when compared to morphine. Morphine is generally a pain medication drug that is prescribed by medical practitioners to those patients who suffer out of pain. A study states that approximately more than 40 million adults are experiencing anxiety in the U.S. One of the interesting VR diaphragmatic exercising game, namely Deep assists in dealing with those patients who suffer out of fear and anxiety using a belt that measures breathing. As in this game, the individuals are exposed to a natural guides and settings; it helps them to do deep belly breathing practices along with calming the user for about more than five minutes. It also assists in enhancing the social skills of the autistic children and teens. Especially to address the needs of those autistic children and teens, a special program was developed by the professors at the University of Texas. Through monitoring the brain waves of the user throughout the program, they witnessed improved activity by the user in the areas associated to social understanding. Business started to implement every possible technology in almost every way to enhance their operations. With the recent implementation of Virtual Reality in businesses, entrepreneurs witnessed a reduction in costs, reduced business travel, easy to conduct interviews, forecast trends and hold conferences and meetings. Instead of travelling for the purpose of attending a meeting or conference or to face-to-face interview a candidate, you can utilize VR conference rooms. This not only reduces the cost spent on travelling, but also save time. Businesses involving hazardous products are now using this VR technology in the early stages to verify the functionality and safety without risking the employee’s health. 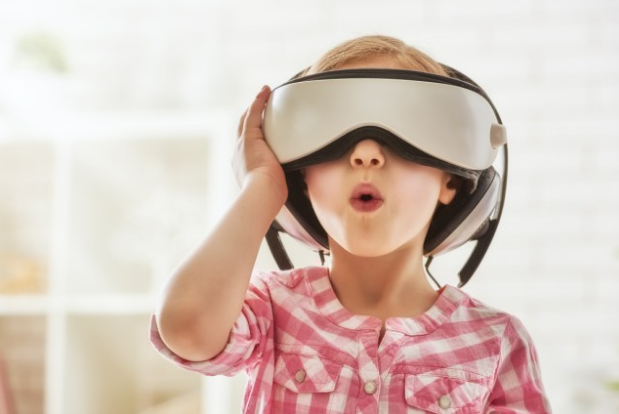 VR technology plays a vital role in the Architectural sector, especially through helping key performers in the construction zone like designers and architects. This tool is being utilized to inhibit construction spaces in 3 dimensions. VR replaces hand-drawn renderings into computer-generated images and thereby reduces the time spent on layout reworks, drawings ultimately. It also effectively works on cost cutting and improved safety levels. Replicating the real world will just not only permit the designers to more conveniently develop new innovative buildings and spaces starting from the foundations to flooring to lighting, but also it facilitates them to test out surroundings prior actually raising up their imagination into buildings. For an instance, designers with the help of VR can realistically know how long it may take for someone in their prospective construction space is able to exit the building at times of emergencies. Car engineers through implementing VR technology, has gained the potential to make safety test for their vehicles prior to manufacturing them. Apart from using it in the manufacturing process, renowned car companies such as Volvo, Hyundai, Ford makes use of this technology in driving sales. Potential customers make use VR headset to run a test drive of a preferred vehicle virtually. In future, you can try looking at the destination before you fly using VR. Travelers who are planning to book tickets for their next vacation can watch the destination, city or hotel and can understand what it has to offer. For an instance, in a U.K. mall, patrons were facilitated to experience a boat ride all around the Statue of Liberty or a helicopter flight ride around New York City using the Virtual Reality Headset.